Long time readers of the site will have seen this before as I’m reposting my love letter to Stephen Volk’s Ghostwatch on the occasion of Hallowe’en. A year shy of its twentieth anniversary it remains a landmark of paranormal drama and has just been reissued on DVD at a ridiculously low price. Things have changed since the initial (and only) BBC broadcast. Reality TV has infected almost every aspect of television and Most Haunted and the recent Paranormal Activity films simply would not exist without it. Familiarity with the presenters may have made he suspension of disbelief a little difficult initially but nineteen years on there is no such problem. Ghostwatch joins The War Game, Orson Welles’ Hallowe’en broadcast of War of the Worlds, and the US TV programmes Special Bulletin and Without Warning as moments in broadcast history which signalled a shift in what was possible, and it’s still a damn scary yarn. If you have a copy, or can find one in the shops today I implore you to watch along with the Ghostwatch: Behind the Curtains National Seance (details here), that way – you wont be watching alone. And if you’re still in the mood for a scare I can recommend Volk’s The Awakening which he wrote with director Nick Murphy – my review is here and it’s out in cinemas on the 11th of November. Here’s my Hallowe’en Video Vault for Ghostwatch. On the 31st of October 1992 at 9:30 in the evening, as the BBC logo was spinning and the Announcer began to introduce Ghostwatch I was not watching, I was out somewhere, missing out on one of the scariest TV programmes ever broadcast. It is seventeen years since the only terrestrial airing and it still has the power to convince and terrify. It can be set alongside Nigel Kneale’s Stone Tape and Barry Hines’ Threads as a singular event, a controversial landmark of Television broadcasting that was deemed so effective that it was banned from being shown again. In the internet age, where iPlayer, iTunes and torrents mean that most tv programmes are readily available and easy to acquire, yet Ghostwatch wasn’t available, via a repeat or video release, for ten long years. The backlash against the programme was such that many believed it a deliberate attempt to scare seven shades of suburbia out of the general populace, and as it was linked to the sad suicide of an individual, the BBC complied and hid it from view until the 2002 BFI DVD release. I was lucky not to have to wait this long however, as seventeen years ago this Halloween my video was turning, recording the moment, and the next morning I sat down to write an essay for school and put Ghostwatch on in the background. I wrote nothing for the next 90 minutes. Ghostwatch, in many ways, was my perfect television programme. I became fascinated with the Enfield Poltergeist, a clear inspiration for the show, through the book This House is Haunted and poured over Harry Price’s tales of Borley Rectory; poltergeists and the domestic terror they inspired invaded my mind and not until Ghostwatch did I realise that I was not alone. The show touched a national nerve and set pulses racing long into the night. Remember of course that the X Files hadn’t yet captured the global consciousness, the dubious stage of Most Haunted and the recent, Alan Partridge inspired, Ghost Hunting with the Happy Mondays was a long way off and TV productions regarding ghosts were limited to the occasional Arthur C. Clarke’s Mysterious World, but Ghostwatch changed that. Taking the incredible success of the micro budget scare fest Paranormal Activity as a recent example of taking the clichéd pitch of a haunted house movie to a new level of effective terror through its manner of telling the story, Ghostwatch used the “˜modern idiom’ of the outside broadcast and the live program to draw the audience in, scare their faces off and leave them wondering “˜Was it real?’. 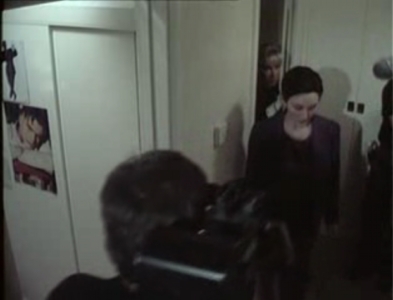 The spate of horror films using the internet and documentary style footage in the early part of the 21st century, coupled with the rise of Reality TV, show how far ahead Ghostwatch really was. The directors of The Blair Witch Project both saw Ghostwatch before embarking on their film, and other films such as The Last Broadcast experimented with documentary techniques to nail their audiences to their seats in fear. Derren Brown’s recent Seance was, in part, inspired by the 1992 BBC Screen One production. Part of what made the broadcast so effective was the use of ‘real life’ presenters, populating the programme with familiar faces and concepts such as a bank of phone desks to receive viewer’s calls (via the standard BBC number, which if you called played a message telling you it was just a TV play) gave the production a level of authenticity that belied its fictional nature. Sarah Greene was well known to the public and, controversially, to children as a host of many BBC programmes and it was her ambiguous fate that was to whip up a small frenzy of moral panic in the aftermath. Red Dwarf’s Craig Charles was on hand to ape and mock, usefully mirroring the audience’s skepticism, however it was the involvement of eminent TV personality Michael Parkinson (pre-knighthood) who fronted the programme, that gave Ghostwatch its authoritative foundation. Ostensibly a live broadcast, similar now to Most Haunted and the like, from a house in North London that was allegedly haunted by an unseen spook, the investigation centred on the household consisting of the mother, Pamela, and her two daughters Susan and Kimmy. At first they appear as a family under siege and much of the early part of the programme deals with their experiences thus far. Tales of benign activity such as bent spoons and clocks stopping, familiar staples of poltergeist manifestations, gave way to scratches appearing on the elder daughter’s face and we hear incredible thumps coming from the walls. The programme cuts back and forth between Sarah Greene in the house and Parky in the studio discussing the events with a para-psychologist. Everything was done exactly as if it was a genuine investigation into the paranormal. It is a little twee, and at times fairly pedestrian, but don’t be fooled – this is simply the build up for an outstanding climax. 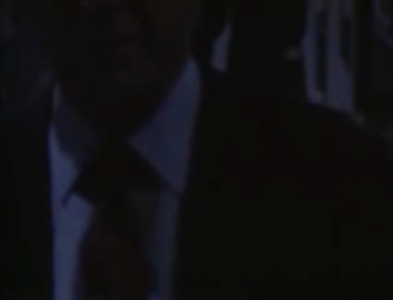 The writer Stephen Volk used the fundamental live programming vocabulary, such as the use of phone calls from the public, pre recorded interviews (with obscured faces) and outside broadcast to create a complete world in which the Early family allowed TV cameras into their home to try and document their poltergeist. It carefully lays traps (the incredulous American scientist, the young teenage daughter seeking attention, the phone calls making fun of the programme) for the unwary viewer, many of them convinced it was really happening, and slowly the atmosphere of expectation and dread intensified. Through scratched writing in a school book, the wailing of cats trapped in the walls, some eerie phone calls and the frantic activity taking place in such a small, and familiar, location the tension builds. As the programme goes on it emerges that something is very wrong in the house, glimpses of a ghoulish figure are seen and a sense of real panic kicks in as the activity in the house takes a tangible, nasty turn. All the time we are looking for, as the resident psychologist has it, ‘faces in the fire’, some of the sightings of the ghost are so quick the video I had became worn with the amount of pausing it endured. The use of diegetic sound is perfect, as the walls rumble with thick, heavy thuds and the scratching of starving cats emanate from the floorboards smash through the portentous silences, and the screams, when they come, provide no relief. There is a sublime moment when, after a volley of violent activity occurs and the genuinely unsettling events really start to unfold, the live feed to the house is cut, leaving the studio and the viewer watching static. After a moment it reappears and all appears fine, though there is no way to contact the house. The girls are all sitting and playing a board game, nothing untoward seems to have happened and yet the subsequent discovery by the psychologist in the studio sends a chill down your spine as we realise all is not well in the house. Pipes, Mother Seddons, Raymond Tonstall. All names of entities that would seem tremendously clichéd if written into a film script, however the magic of Ghostwatch being set in the real world gave these names and figures menace, and we believed in them and their dark history. Ghostwatch used the conventions of live TV against its audience; programs of the era were often live, and bought a sense of excitement and expectation with it that today we take for granted. As the activity in the house turned darker and the programme ended on a sinister note the reality that the audience was so comfortable with had collapsed; the loss of control was immediate and the resulting backlash was inevitable. When people realised that they had been fooled the reaction was so extreme that it has took 10 years for Ghostwatch became safe to release. Ghostwatch has been documented as one of television’s greatest hoaxes, but his is to misunderstand it. Hoax implies that it was a deliberate attempt to fool people, Ghostwatch never tried, it didn’t have to. The intrusion of cameras and crew into people’s houses was frequent in the late 80s and by the early 90s it was not anything special, but never before had it captured something so horrifying and the control associated with television was lost. It is all about audience sympathy and involvement. The key to Ghostwatch was the use of the everyday. It could have been anybody’s house, anyone’s next door neighbours; it meant that it could be happening to you. 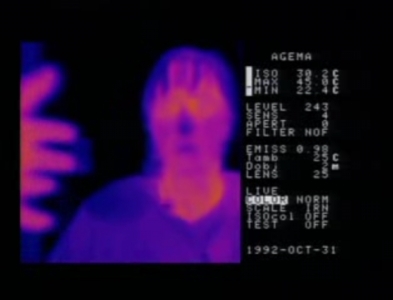 Hysteria is so much more effective if it hits people directly and singularly, it’s a very isolating experience to be scared by yourself, and Ghostwatch’s strength came from the fact that for those 90 minutes you were watching helplessly as this house was overrun with something real and horrifying. In the years following a group of my friends and I would crowd around the television and let it scare us all over again. We knew it backwards, we laughed in anticipation of Kevin Tripp’s phone call (the cheese and pickle sandwich? Come on”¦), we watched intently when the camera panned around the bedroom catching the briefest of glimpses of Pipes. Though we knew it was fiction we enjoyed losing ourselves in the programme, and despite the apparent paradox seeing Ghostwatch again and again always felt as if it was live, and always exciting. We would put on the video, sit back and enjoy until one of us would see something half hidden in the background, or reflected in a mirror and the fear and excitement would come flooding back. It was a unique experience for us to see something that bore repeated viewings and managed to maintain a real sense of terror from images and obscured moments that could easily have been missed first time around. While writing this Video Vault I watched Ghostwatch again, and though I knew it word for word there were moments when the feelings of unease and fear resurfaced. Scenes I had watched literally hundreds of times came back on and a chill went through me – after all this time. It takes great power to do something like this and though it has dated there has been nothing like it since. It is a truly inspired piece of television. Nineteen years have dulled its effect slightly. The profusion of live TV and reality shows have resulted in an inbuilt cynicism for what we watch, and if Ghostwatch was to be realised today it would a harder task to convince the audience of its true, fictional status. In his book Dark Corners the writer Stephen Volk produced something of a sequel to the programme in his short story 31/10 and it is a fascinating read. Personally I’ve very much looking forward to the fan-created retrospective documentary Behind the Curtains which you can follow on their YouTube page. Ghostwatch was an important part of my past. It was the first time a TV programme physically shook me, and I was so enamoured with it that for a long time I couldn’t see the, admittedly few, shortcomings. Now I can enjoy it as a true original, a programme so accomplished in execution and so effective in its purpose that it remains a Halloween classic which has never been bettered. As time wore on the acting got more ropey, the video tape was deteriorating, but for 90 minutes our programme was on, nothing on television before or since gave us this thrill.